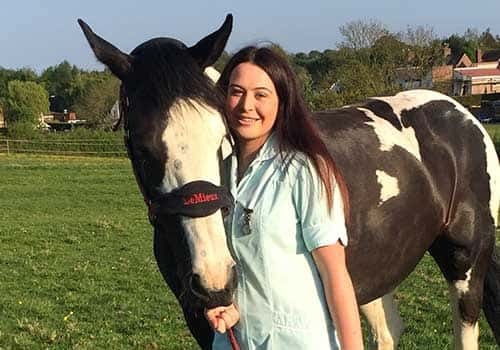 I joined the Fairfield team in September 2015, as a Student Veterinary Nurse. I started off at college, however decided to take a break from studying and get more experience from working in practice. I love the role of a Veterinary Nurse and have no regrets in picking this career. I have two animals of my own, a family cat called 'Jake' who I have had since a kitten, and a horse called 'Jess' who I have owned since September 2013. I love every aspect of owning a horse, the challenges it brings and days out we have including drag hunting and cross country. We both love and enjoy this. When I joined Fairfield the staff made me feel very welcome and I really enjoy working with a great, knowledgeable team. I hope to carry on my nursing career at Fairfield once qualified.